Every Monday and Wednesday, one of my favorite online shopping destinations Cents of Style, has what they call a Style Steal. I have found some amazing things for my wardrobe and home and I want to make sure you don’t miss out on these deals! I’ll be sure to post the ones I think you’ll love. 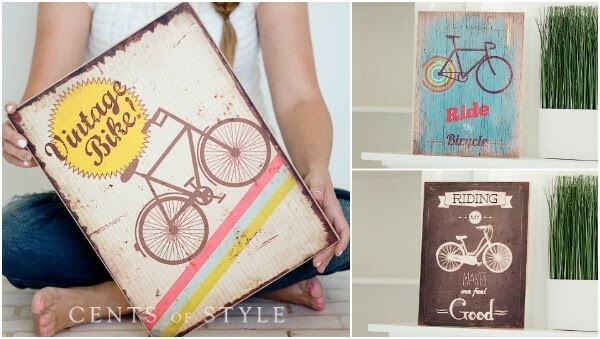 Like today’s Style Steal are these vintage looking Wooden Bicycle Signs for only $11.95 and free shipping. There’s no special code needed. 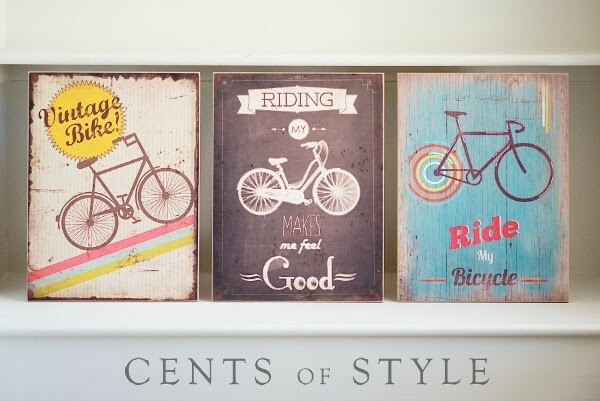 Just head over here to choose your Wooden Bicycle Sign. These would look great in so many rooms of the house. A unique nursery design, the living or dining room, a kids’ room and on and on. Which one is your favorite?